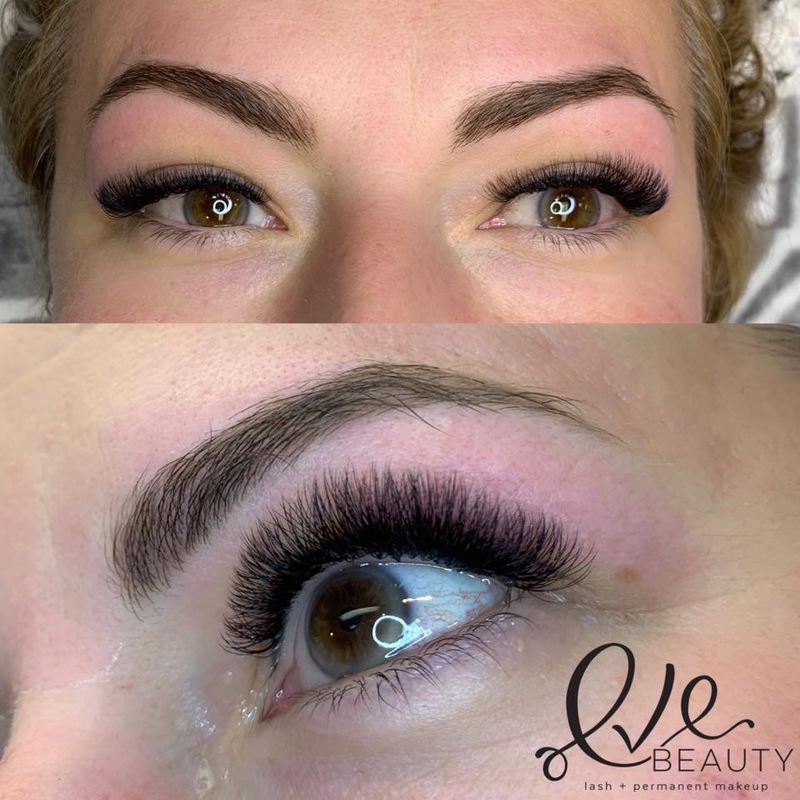 At Eve Beauty, we offer professional eyelash extension services that lengthen and thicken your own natural lashes. Our lash extensions are single strands of synthetic eyelashes that are curved to replicate a natural eyelash. Each individual lash is dipped in a bonding agent and applied to a natural individual lash. The initial application process for lash extensions normally takes 60 to 150 minutes depending on the desired look. The procedure is painless and so relaxing - which sometimes makes you fall right asleep. The life cycle of natural lashes is about 10 to 12 weeks and, with proper care, your lash extension will last as long as your own lash. How long an individual’s lash extension will last depends on eyelash characteristics, lifestyle and diet, and the proper care to the lashes. Touch ups are recommended about every 2-3 weeks to maintain the full lash look. Eyelash extensions prices are reflected below and varies between lash artist. Prices are subject to change at anytime. On average, clients get refills every 2-3 weeks. After 4 weeks or less than 40%: New Set. NO EXCEPTIONS. 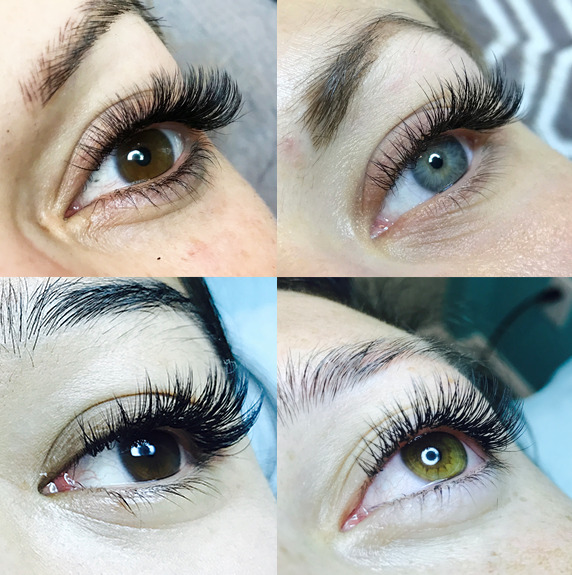 EXTENDED lash extension REFILLS: This option is good for clients who want the maximum fullness for their 2 or 3 weeks refills. MINI lash extension REFILLS: This option is good for weekly clients & in between refills for an event or emergency. In this traditional technique, our artist will apply an individual, thicker and darker eyelash extension to each one of the natural eyelashes. This technique is perfect for those who are trying eyelash extensions for the first time or want a slightly noticeable look. Light volume lashes, ALL gorgeous! This allows for the application of 2D and 4D lashes in the places where it matters the most. The result is full beautiful lashes with a little less drama then all volume lashes. Get the fullest lashes possible with the Volume Lash Extensions. Four to six super lightweight extensions will be applied to each of your natural lashes (based on your lash health). These special extensions are soft, feather-light and give a three to four-time fuller look of mascara and eyeliner. The art of MEGA volume is a highly skilled technique that is an advanced upgrade from the Russian volume technique. Creation of MEGA volume requires precise and perfectly spaced fans for that extra dense and precision effect, with the use of the thinnest volume extension available to the industry. MEGA volume is the use of up to 8-16D using .05, .04 or .03. This is the most dense and darkest effect for volume. Whenever you feel the need to remove the eyelash extensions, we can help remove them safely and gently without harming the natural lashes.